FindItMore | Credit cards help you not only to spend more flexibly but also to save more efficiently. Other than spending and saving, you get to enjoy benefits which make your expenses even worthwhile as well. The best credit cards can bring you high reward points, discounts, cashback, free lounge accesses at airports, free movie tickets, offers on dining, and others. The more privileged your card is, the more features you get. With the right card and its proper usage, you can get a higher return on investment – here, investment denotes expenses. But, you may be confused as to which one can maximize your savings. So, here is a small guide to help you avail the right one. An airline credit card is ideal if you are a frequent flyer. These cards provide you with reward points or miles on every air ticket purchase. You also get accelerated rewards when making special bookings. Redeem these points to avail discounts on your future air tickets. Airline credit cards provide other additional features like complimentary lounge accesses, free hotel booking, concierge service, etc. These cards are provided by either airline companies or financial institutions partnered with an airline company. A travel credit card is similar to airline credit cards; however, the reward points and miles are not limited to one airline. You also get redeemable travel vouchers to get discounts on air tickets, hotels and car rentals. Some of the best credit cards also provide fixed miles when making a particular amount of transactions domestically. These miles can be even higher when spending overseas. You can also get complimentary lounge access in international airports. A fuel credit card is similar to an airline one. You get reward points and cashback when spending a specific amount on fuel purchase. The accumulated points on these credit cards can then be redeemed to get free fuel up to a specific limit. A retail credit card is provided by a financial institution in partnership with a retail store. These cards bring rewards, discounts, and cashback when used in those stores. For all the shopaholics out there, shopping cards are the best credit cards they can avail. Similar to retail cards, you get rewards points, discounts, and cashback when purchasing from particular outlets. These cards also provide high rewards when shopping online as compared to offline. You can avail vouchers too on spending a specific amount online. Entertainment credit cards are ideal if you visit movie theaters often. These offer not only free movie tickets but also discounts and cashback on each one. Furthermore, you avail vouchers as joining bonus which you can redeem for purchasing the tickets. Classic, premium, or platinum credit cards combine features of all the cards mentioned above. The Bajaj Finserv RBL Bank SuperCard is one such product that provides such benefits. You get up to 8 complimentary lounge accesses, free movie tickets, offers on dining, etc. You can apply for a credit card like this if you have accumulated high debt in your existing credit card and don’t want to pay high interest or late payment fees. Balance transfer credit cards come with low or 0% interest rates up to a fixed period, precisely 6 months. Hence, transferring your current credit card balance to this variant will help you avoid high rates of interests. 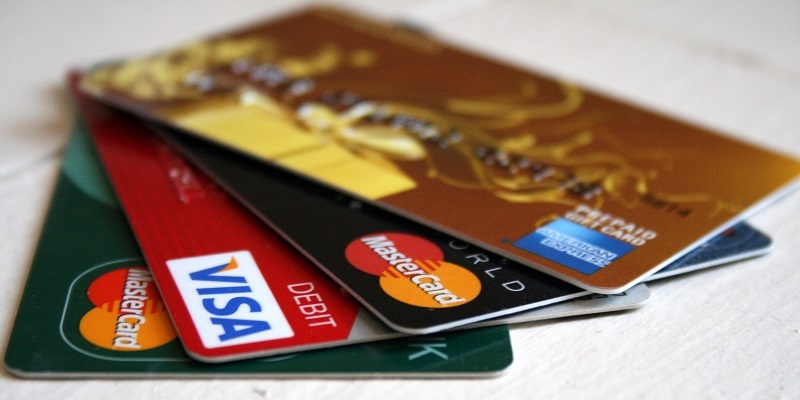 These are some of the best credit cards in India 2019 that can help you maximize your savings. Take your expenses into account and pick the right one according to your requirements. PREVIOUS POST Previous post: Solving Browser Compatibility Issues with Internet Explorer?